Trimmed version of "Pieter", a painting by Susanne du Toit - last year's BP Portrait Award 2013 winner. Omi International Arts Center is now accepting applications for Music Omi International Musicians Residency 2014. Everyone accepted to Music Omi receives lodging, including a private room, and delicious meals during his or her stay, but accepted fellows must secure their own travel funds. Omi International Arts Center is located two and a half hours north of New York City in the historic Hudson River Valley. 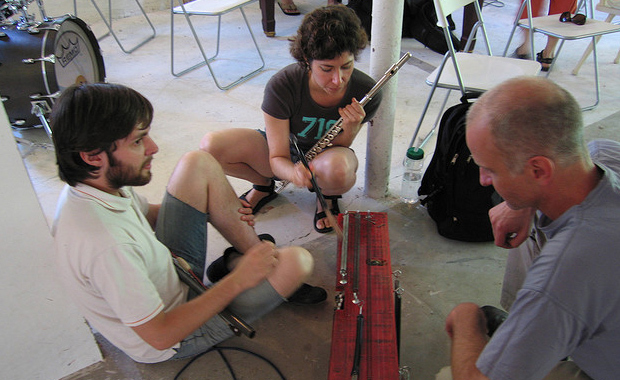 The Music Omi 2014 Residency is scheduled for 17 July – 3 August, 2014.